What Will Happen to My Business If I File a Personal Bankruptcy? 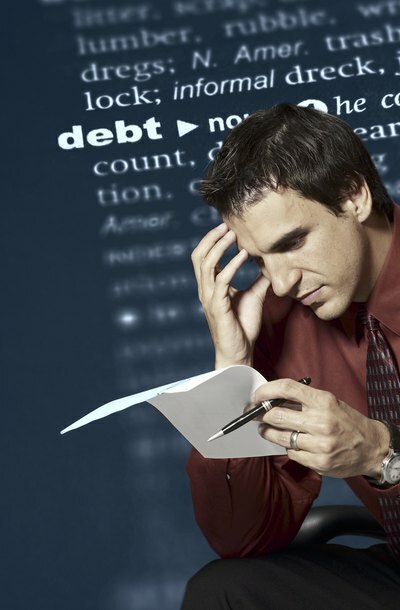 Bankruptcy may be a viable solution if your have more debt than you can handle. However, if you are involved in a business, the impact of your decision to file for bankruptcy could extend beyond your personal affairs. When a small business owner, entrepreneur or corporate shareholder files for bankruptcy, there can be consequences for business management, its partners or shareholders and assets. Whether your business assets are vulnerable to claims by creditors depends on how your business is legally organized. Corporations are legal entities that shield shareholders from the liability, losses and debts of the business. Corporations are separate legal entities that are independent from their owners; therefore, the business management of the corporation is not directly affected by a personal bankruptcy of one of its shareholders. After the bankruptcy filing, the shares of the insolvent shareholder can be administered or sold by the bankruptcy trustee to repay creditors. Limited liability company owners -- like corporate shareholders-- benefit from limited personal liability for the debts and losses of the business. Under many state laws governing LLCs, the members of the LLC may demand that the person filing bankruptcy sell his interest back to the company. By purchasing the interest of the insolvent member, the LLC avoids involvement in the bankruptcy proceeding and possible disturbances to management decisions of the LLC. A partnership is an independent and separate business entity owned by two or more people. Insolvent partners-- like members of an LLC -- may be required to sell their partnership interests back to the partnership after filing for personal bankruptcy. The partnership avoids becoming part of the bankruptcy proceedings and can continue to make management decisions. A sole proprietorship is not a separate or independent legal entity; instead, all business assets are treated as if they are your personal assets. Therefore, in most states, the sole proprietor's business assets are also included in the bankruptcy filing. The bankruptcy trustee may administer and sell those assets, in accordance with state and federal bankruptcy law. Bankruptcy Law Network: What is the Impact of My Personal Bankruptcy on My Small Business? Choosing a business structure is one of the first steps you must take when establishing your business and state laws generally offer several business formats, including corporations and partnerships. Decisions regarding the legal structure to use when starting a new business are often affected by the owner’s desire to separate business assets from personal assets. For example, partnerships offer little asset protection, but S corporations limit personal liability. What Happens to a Shareholder in a Dissolved Corporation? A dissolved corporation ceases to legally exist and the effect this has on its shareholders depends on how it was dissolved. If the corporation is dissolved voluntarily and its assets distributed to the shareholders without paying all remaining corporate debts, the shareholders could become liable for the debts. If the corporation is dissolved involuntary by the court or administratively by the state, the shareholders can incur additional expenses and liabilities. Avoiding these negative financial consequences requires proper dissolution of the corporation. Can Business Assets Be Touched if You File Personal Bankruptcy?